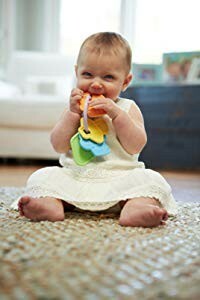 Shake, rattle, and read! 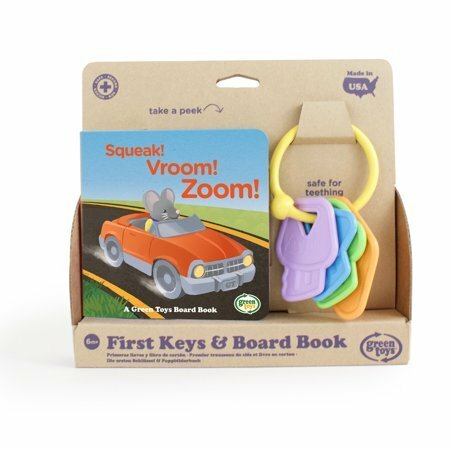 This set includes the Green Toys™ First Keys and Squeak! Vroom! Zoom! board book. 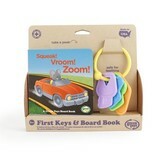 The super-safe First Keys feature 4 colorful, uniquely shaped keys and charms. 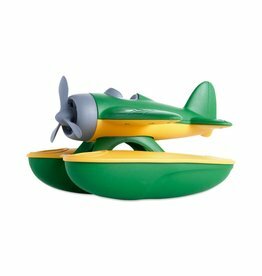 They are lightweight for little hands, and dishwasher safe for easy cleaning. Squeak! Vroom! Zoom! 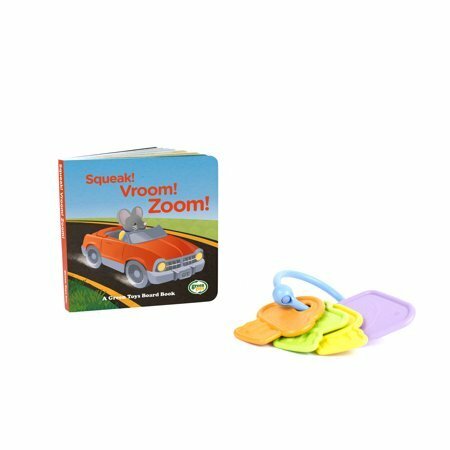 brings the fun of story time to babies and toddlers, exploring the different sounds Green Toys animals and vehicles make. 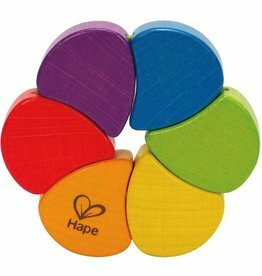 A puzzle, a rattle, and a rainbow all in one!